Road safety is a great subject for toddlers. 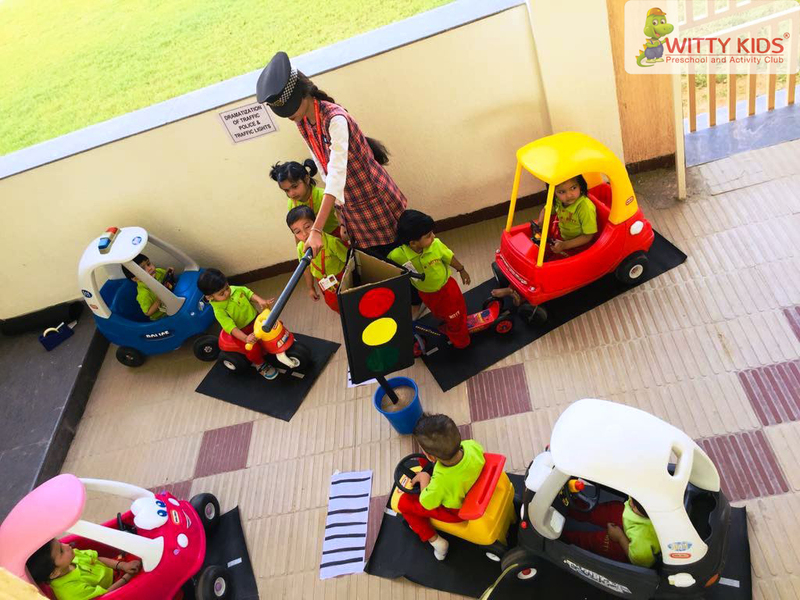 It is better to start learning good and safety habits, right from an early age. Road safety is something that needs to be thought continuously and even subtly at times. 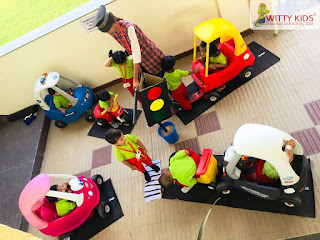 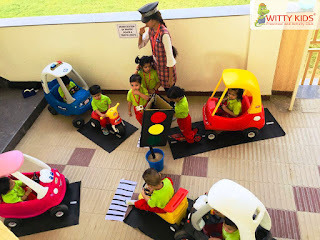 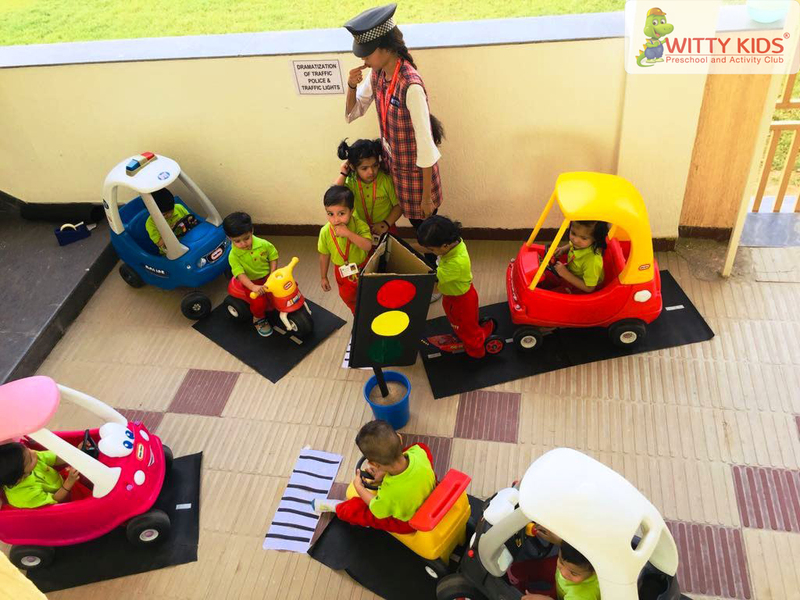 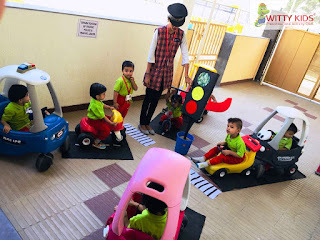 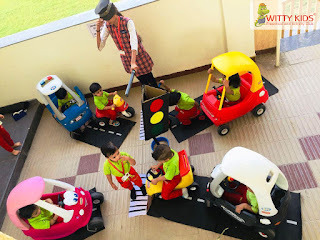 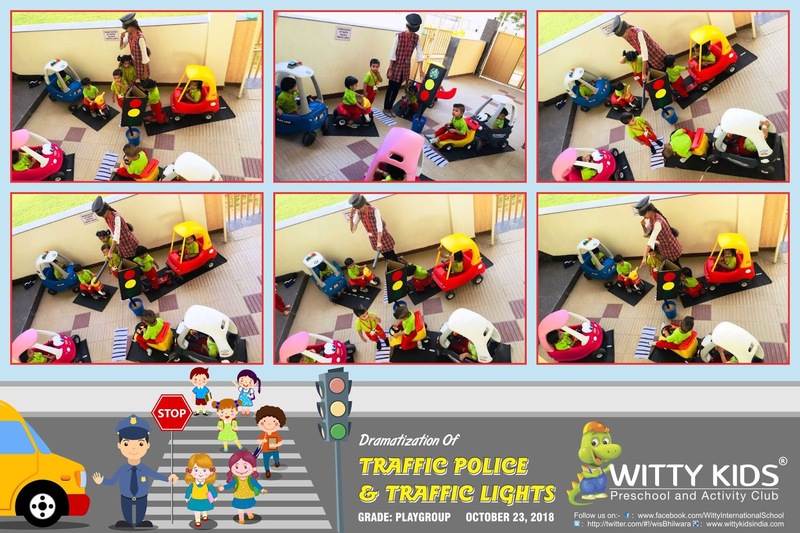 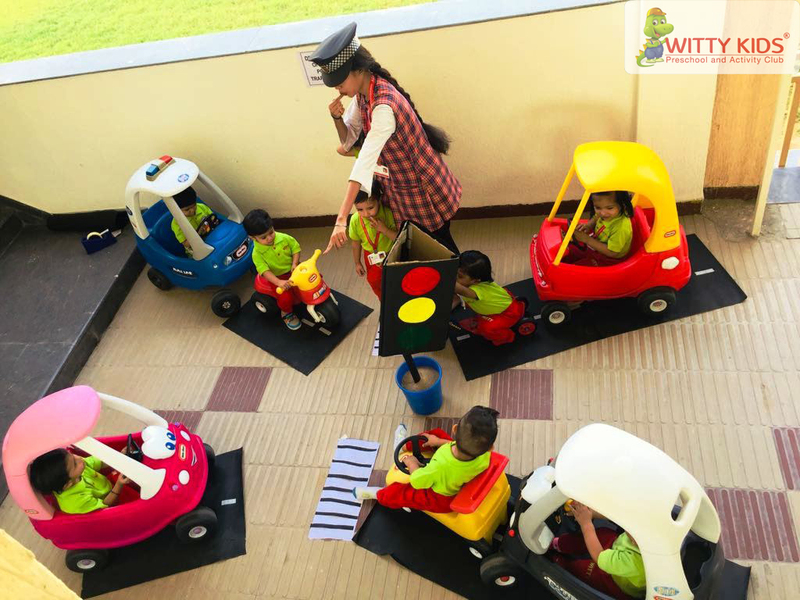 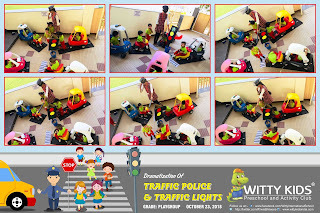 During our ongoing theme, PG kids of Witty Kids, RC Vyas, Bhilwara did role play of traffic lights safety rules on Wednesday, October 23, 2018. 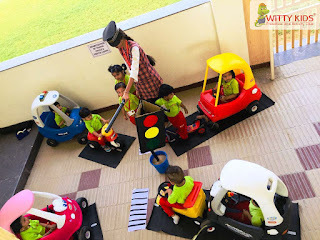 Teacher became traffic policeman and told them about the essential traffic signals, walking on zebra crossing and driving in a lane and following traffic lights etc.